In this photo essay, Siddhi Bhandari explores gender relations in the context of holi, the Hindu festival of colors, as celebrated in the village of Chilkiya in the foothills of the Himalayas in Uttarakhand, India. Holi is the Hindu festival of colors, one of the Indian subcontinent’s more famous holidays. The manner in which the festival is observed varies from region to region – but whatever its beginnings, the celebrations of holi have by and large come to have clear sexual intonations with men at the forefront. The festival has become associated with drunkenness, street harassment and sleaze, in northern parts of India in particular. There are police advisories against drunken driving and harassment in light of the high number of arrests that have been made on this particular day in the past. Yet in the midst of such countrywide issues, the celebrations of holi in one region stood out in stark contrast. 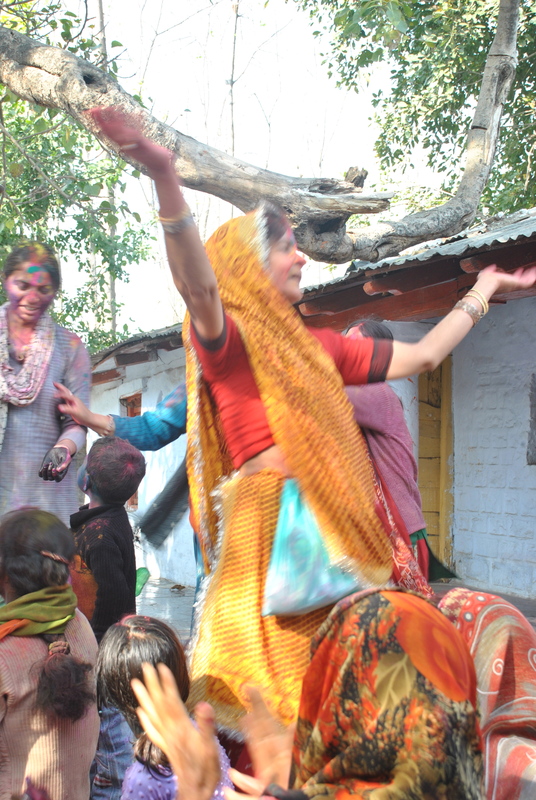 While gender norms in India are highly tilted in favor of males, the experience of holi celebrations in a village in Kumaun put the women at the forefront. This facet of holi is often overlooked in scholarship and media, how in certain parts of the country this assumed androcentric practice is turned on its head. The photographs in this essay focus on the celebration of holi in a village called Chilkiya located in the foothills of the Himalayas in the Kumaun region of the northern hill state of Uttarakhand, India. The significance of holi encompasses the mythological, folk, cultural and social. 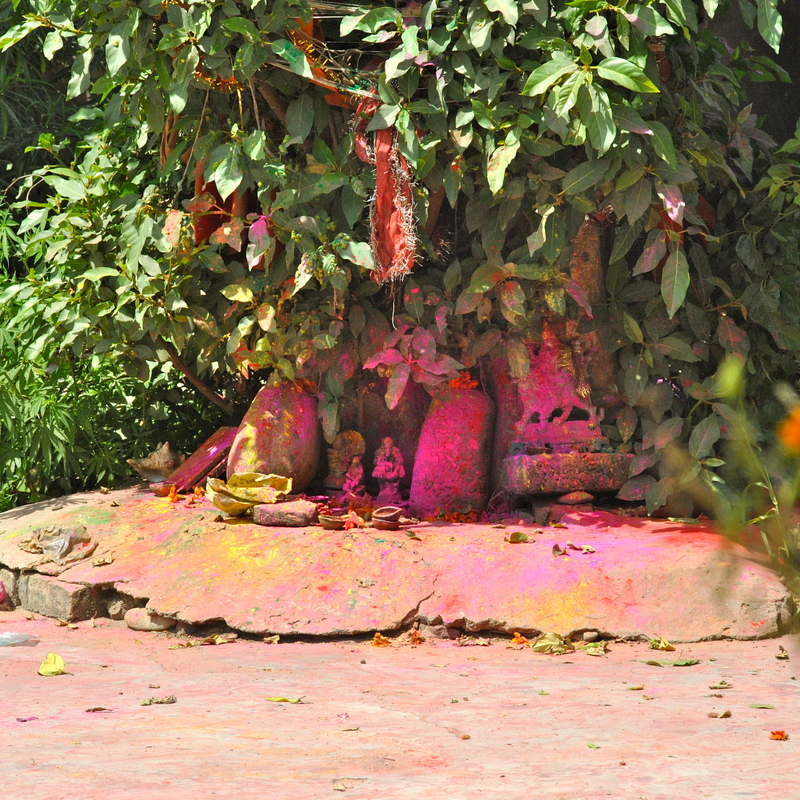 Just as most religious festivals are timed to coincide with the change of seasons, and are usually at the turn of agricultural cycles, holi is celebrated during springtime in India. This is a time when the rabi crop that was sowed in winter is completing the growth cycle and is near ready to be harvested. Appropriately, the main economic activity in Chilkiya is agriculture, followed closely by employment in an electrical equipment factory that is located five miles away from the village. Agricultural engagement is being reduced at a fast pace due to the changing nature of land usage, however, with a major portion being sold for construction of houses to the new members of the village community. In the Indian context, a village does not merely denote a small cluster of houses in rural surroundings with a small population. Sociologists who have studied the Indian villages have noted them to often be a community of people mutually dependent on each other in a predominantly agrarian setup and surrounded by poor amenities, be it roads, schools, markets, hospitals and so on. In this village, most of the households are connected to each other by way of kinship networks or belonging to the same extended clan. 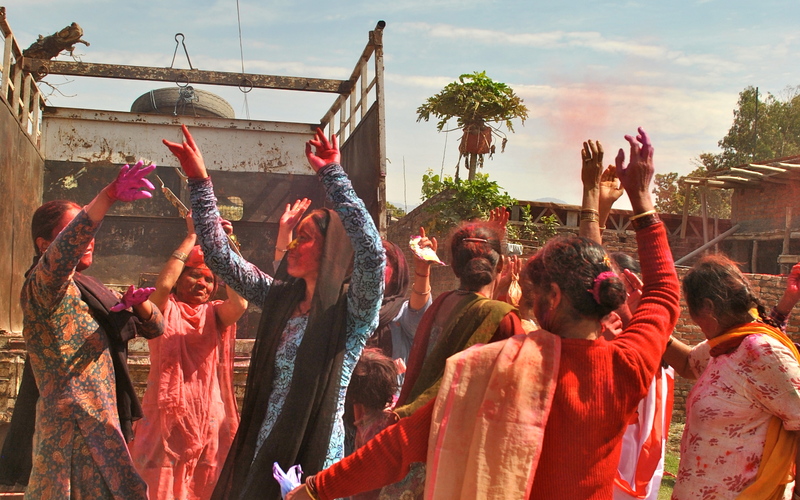 Holi is also a celebration of the interconnectedness of this world and the other world. According to the Hindu mythological story, a demon king, Hrinyakashyap, having attained near immortality and drunk on this new power, demanded that he be worshipped as God. The king’s own son, Prahald, upon refusing to do so was tortured, but nothing could change the resoluteness of the boy. Enraged at being unable to convert Prahlad’s devotion towards him and thereby seeing him as an enemy, the king sought the help of his sister and the boy’s aunt, Holika (after whom the festival is named). Holika got Prahlad to sit in her lap and sat on a pyre in an attempt to have him killed and send a message to others who would resist the king’s decree. However, the other world’s gods, on seeing Prahlad’s devotion to them, came to his rescue while Holika burned to ashes, even though she was supposed to be immune to fire. Traditionally, holi celebrations begin with the burning of a pyre on the eve of the festival, symbolizing victory of good over evil. Though the sacred is invoked, the religious dimension of this festival is near invisible. The invocation is limited to the eve of holi where the symbolic fire is lit (through which Prahlad came out unharmed), the perfunctory application of color on statues of gods and deities (such as that pictured above), or festivities relocated to the local temples. Though holi is a Hindu festival, there is a marked secular content to it that helps to explain its appeal. People with different religious beliefs partake in, if not the festivities, then at least in the savories, usually offered by friends and neighbors. In Vrindavan in the state of Uttar Pradesh, widows have in recent years come out against tradition to partake in the festivities of color. 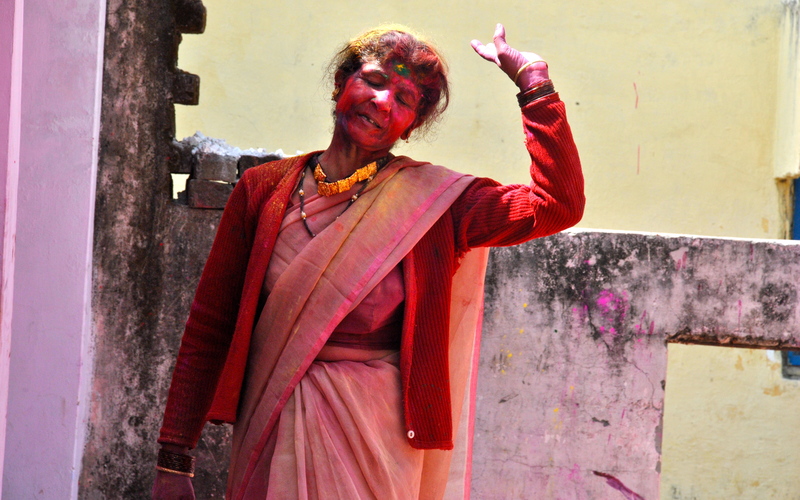 In Hindu tradition, widows are regularly expected and coerced to live a life of deprivation, giving up all worldly pleasures, including the use of color even in their clothing. By participating in the celebrations, they have begun to defy those expectations and traditions. Here, holi has become more of a musical festival that lasts most of the spring season, with women, both young and old, taking the lead. Another peculiarity of Kumauni holi is its division into baithaki holi (more in the form of gatherings to sing, dance, savor festival related snacks and only dry color is applied sparingly; mostly organized in people’s homes) and khari holi (this is the main day of the festival and held in public spaces like village temples and squares). At least a week before the festival date, women take turns to invite each other into their homes, carefully dividing the time so as not to clash with another’s. Sometimes when time is little and the list of inviters long, two or more sessions are organized in a day – afternoon and night. The gatherings are organized keeping in mind that they get to go home and perform their domestic duties as well; and then reconvene. The women have paved the way to make this festival equally participatory for them, often taking over conventional spaces like the village temples or the verandas of their own homes. 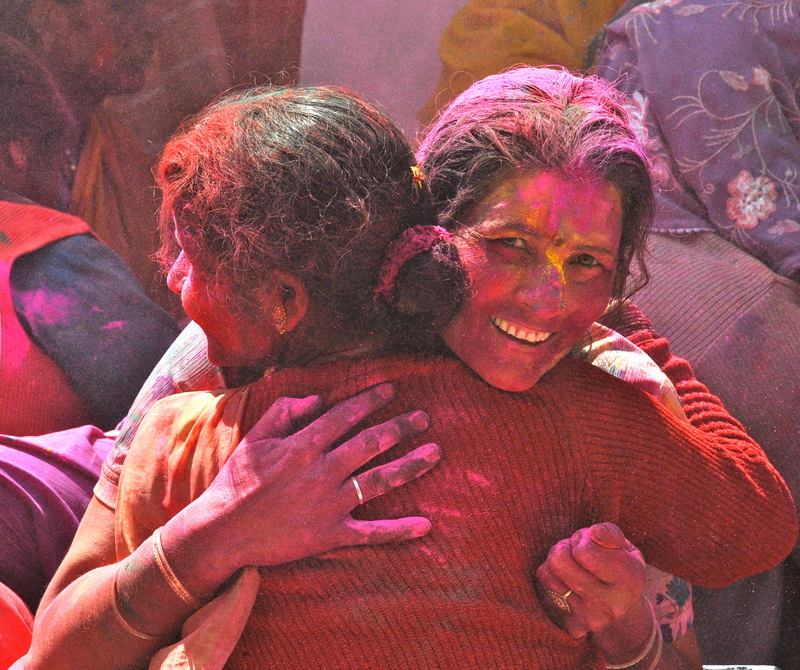 They are often lively and social, meeting and greeting each other by exchanging side hugs (called the Holi Milan), followed or preceded by the exchange and application of colors. The local culture and tradition has enabled this change, as the women are seen to be equally or more participative in domestic as well as external chores. Men in this village have the reputation of being gamblers and idlers. Even during holi, they meet at separate gatherings, preferring to gamble and drink. Taking the festival outside of their home saves the womenfolk the effort of cleaning a house full of colors later, a chore which in all probability would be the women’s responsibility. It is not only during these festivities that women are able to come out of the home and feel empowered. Nor do I believe that the women see it as empowerment either. In fact, this is just as much a “normal” part of life to them as the sexually overt celebrations of holi in other parts of India. While what these women have been able to accomplish can and should be admired, it is important to not read a message of defiance into this practice. 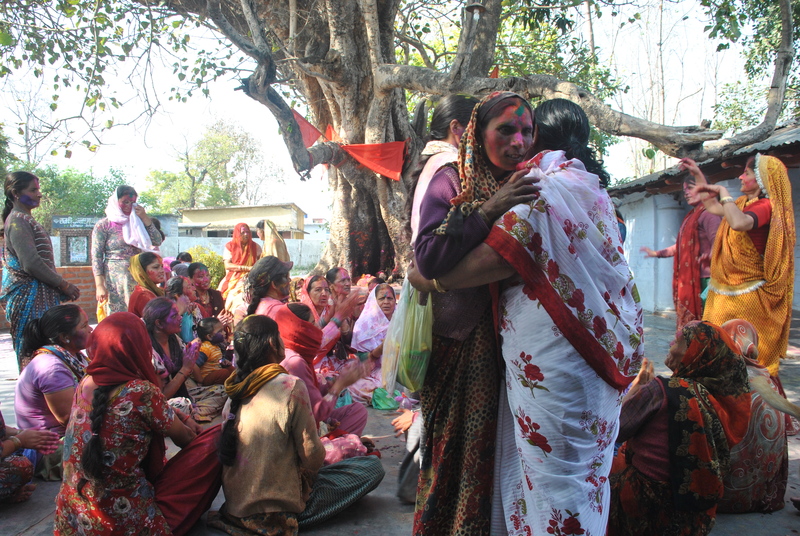 Women-centered holi celebrations have over time come to be part of tradition in this particular village, not resistance. So much so that these village women did not see themselves or this as an aberration from what the norm in the country is – they thought that every village celebrated holi as they do! Interestingly, newcomers to the village were often shy about taking part in the festivities, and had to be coerced by other older women, who had been in the village longer, to become comfortable enough to freely participate and celebrate in this manner. The seeming empowerment of women in the region, however, is not altogether a sign of progressive attitudes or changing times. It must be noted that their involvement in day-to-day or economic activities is often a necessity rather than a privilege. The women find themselves in situations where to feed and provide for the family, they cannot rely on the men. They have to be more involved and take the lead – by working the fields, taking up employment in the electrical factory, all the while performing the daily domestic duties. 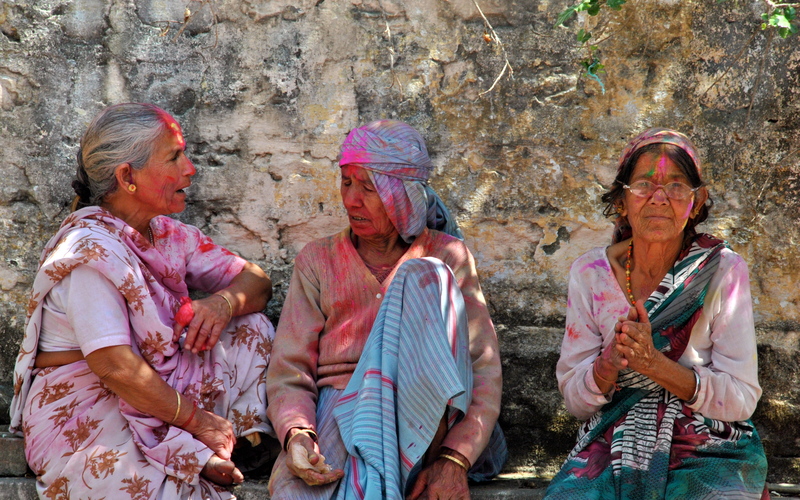 Yet while the holi festival continues, these women are able to find time to celebrate with one another. 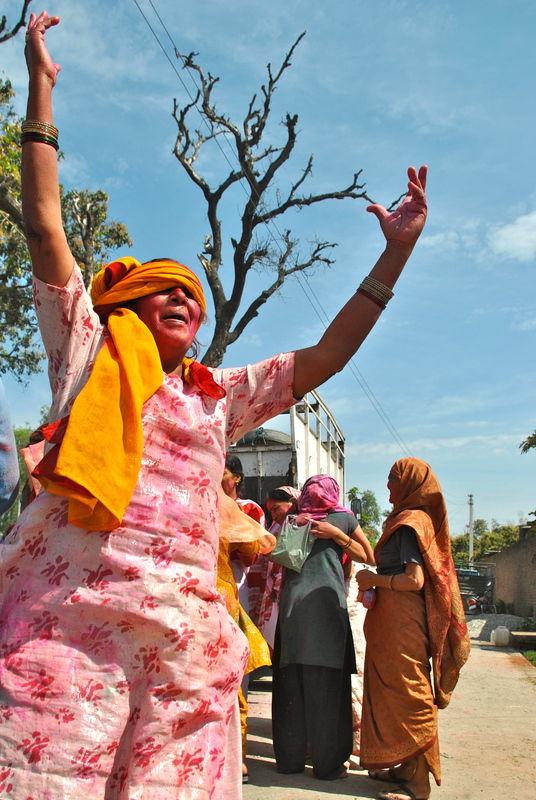 With dancing, eating, music, the application of color and even a relaxing catch-up, the women carry on the festival until they are visibly exhausted. The final day of the festival is celebrated outdoors, with snacks bought from pooled money shared between everyone present – until just after noon, when the women return to their respective homes. Siddhi Bhandari is a Ph.D. candidate at the University of Delhi. Place-Branding Detroit: Beloved Community or Big Society?